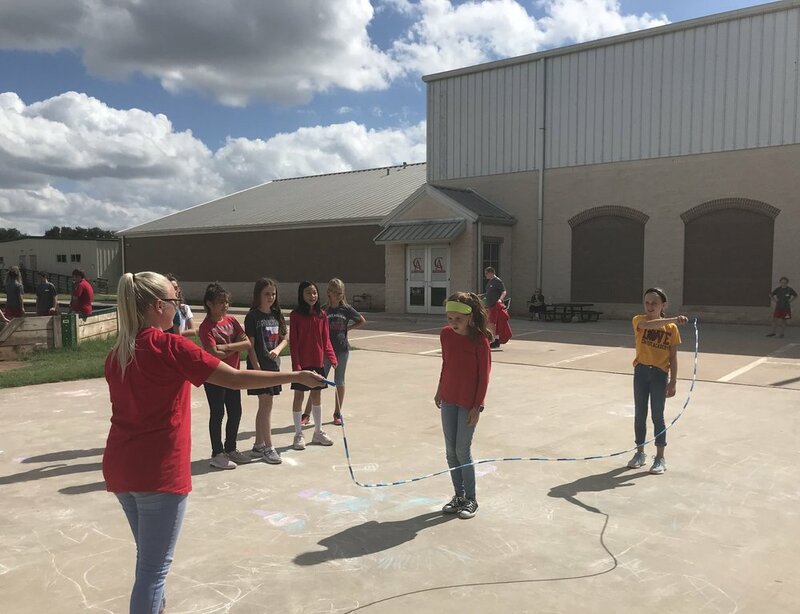 On a recent Friday afternoon after reading the story, Double Dutch, Mrs. Thomas bought some jump ropes and taught her students how to “Double Dutch.” This is how she teaches after 30+ year in the eduction field. She begins each class with a short focused lesson to introduce new concepts or review old ones. After that lesson the students work in Task Centers or like this day, outside learning the skill discussed. In the Task Centers, they are doing activities with other students, sometimes 1-on-1 and sometimes in bigger groups to create a better understanding of her lesson. For example, Scrabble Spelling Words has changed how students think about traditionally memorizing the words. One of the activities that they also have is TWT (time with teacher). At that time, she works with 1 or more students: listening to them read, helping them with writing, or working with them on concepts she notices they may not have fully grasped. She believes this education style versus what she’s done for the past 30+ years better engages and motivates her students. It takes many hours of preparation and lots of supplies to accomplish it, but she believes in innovation in education & her students.